Patients who spend long stretches of time in bed may be at risk of pressure ulcer development, and this risk is further exacerbated if the patient is classed as bariatric. 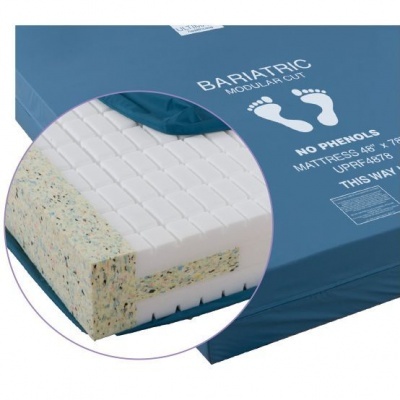 The Carefree Bariatric Modular Cut Pressure Relief Double Mattress provides a fantastic level of pressure reduction, ideal for preventing pressure ulcers for bariatric users at high risk of pressure sores. With reinforced walls and modular cut foam, this mattress provides comfort, support and pressure relief for patients weighing up to 318kg. Designed to provide a fantastic level of pressure relief, the Carefree Bariatric Mattress is suitable for patients at a high risk of pressure ulcers. 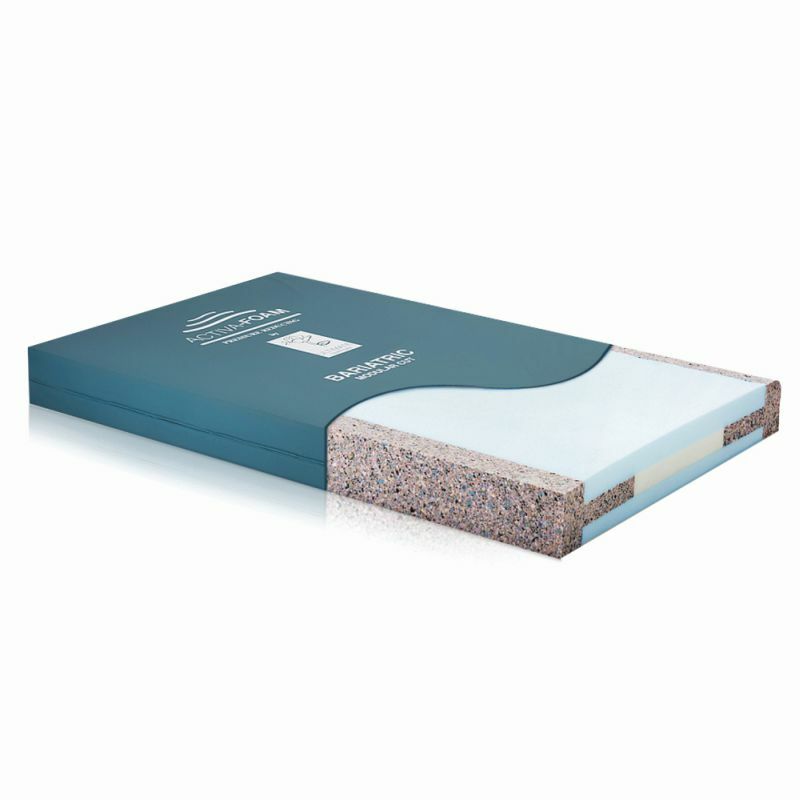 The mattress utilises modular cut foam to provide a high degree of pressure reduction, redistributing body weight to help prevent pressure wounds developing or worsening. As well as providing a high level of pressure relief, the mattress also provides a fantastic level of comfort to the patient, aiding compliance and ease of use. Alongside providing a fantastic level of pressure relief for bariatric patients, the Carefree Bariatric Modular Cut Mattress also features reinforced sides. These side walls help to make transfers and patient handling simpler, reducing the chances of injury for patient and carer alike. To ensure that your mattress is protected against fluid and damage, a stitched waterproof and vapour-permeable cover is included. The 360° zip helps with infection control, and its two-way stretch design helps to improve comfort even more while reducing shear forces. Please note: The Carefree Bariatric Mattress is suitable for double beds only.